My mom has been talking about a trip to Cuba for a few years now. And with the recent events in the United States (I'm looking at you, Donald), the urge to go now was becoming greater and greater. A few weeks before Christmas, we were sitting in our living room, talking about Cuba and how a trip would be possible. Morley and I are pretty good travel companions, so I suggested we all go together. I was still on mat leave, Morley had yet to start day care and Steve had just started a new position that was demanding all of his attention, so it seemed like the perfect opportunity. Right then and there it was decided - a girls trip to Cuba was in order. A few days later, the trip was booked and a short two weeks after that, my mom, grandma, aunt, daughter and I would be boarding a plane to spend three days touring the historic capital city of Havana followed by four days relaxing on a white sand beach in Varadero. Located on the north west coast of the country, Cuba’s capital of Havana is home to 2.1 million inhabitants and spans nearly 281 square miles. Its size and population make it the fourth largest metropolitan area in the Caribbean region. Filled with history and culture, it is also a stop you don’t want to miss on your trip to Cuba. 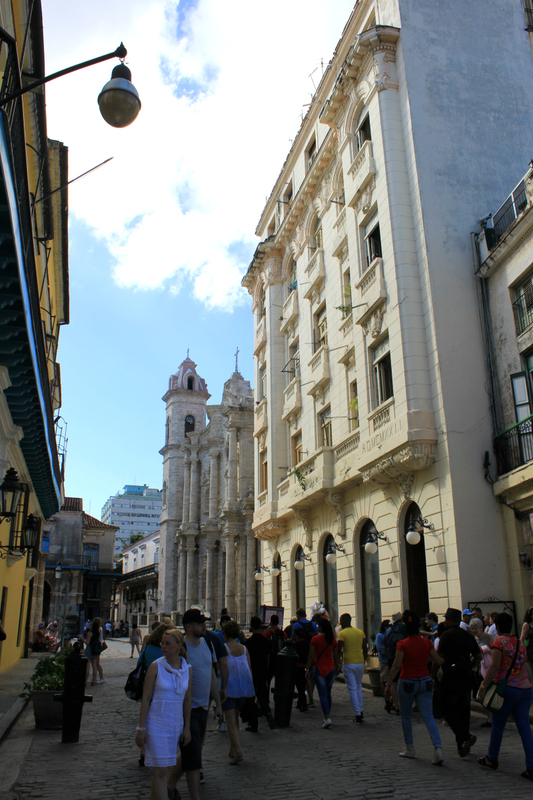 On our recent visit, we had two full days to explore the colourful city of Havana. This is how we spent our time. Day one was filled with independent exploration, and A LOT of walking. 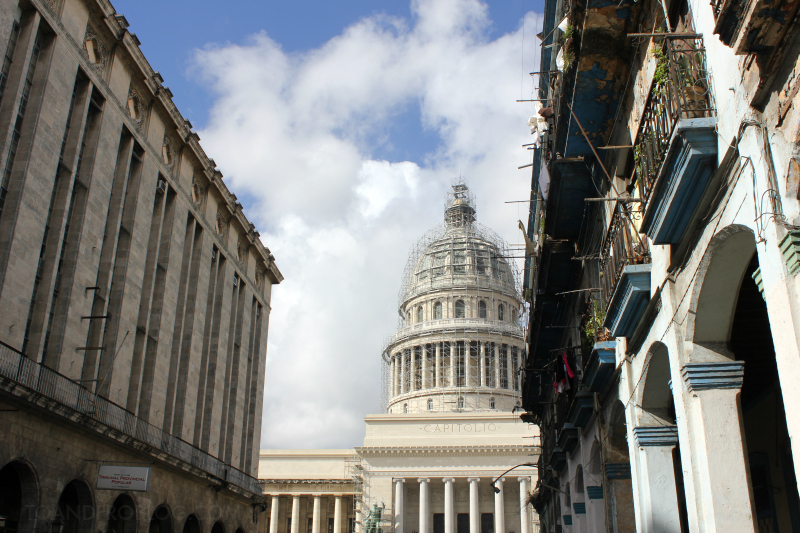 From the Hotel Nacional de Cuba, where we were staying, we took a taxi to the Capitol Building. In a city full of ruin, El Capitolio definitely stands out. Constructed after WWI, the building closely resembles the Capitol Building in Washington, DC, but on a bit larger scale. 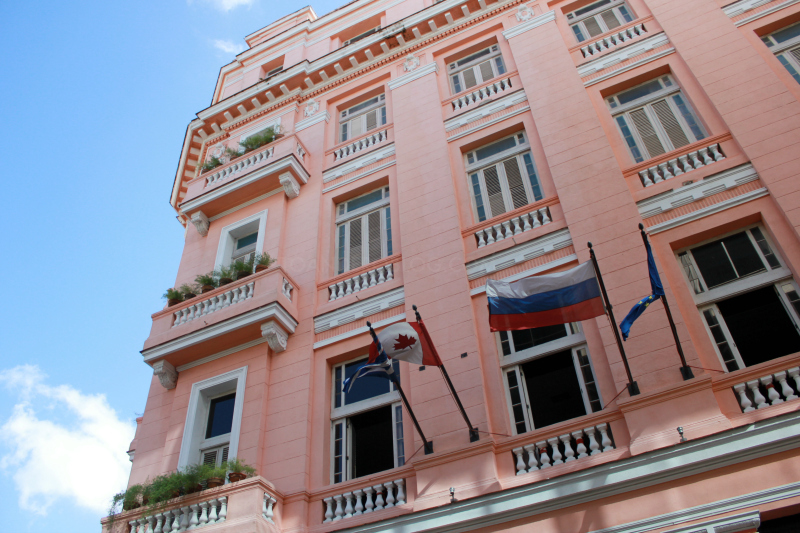 Formerly it was the seat of the Cuban Congress, but since 1959 has housed the Cuban Academy of Sciences and the National Library of Science and Technology. Our first goal of the day was to find a local cigar factory. You can’t go to Cuba without bringing home some authentic Cuban cigars! According to the map provided by the hotel, the factory was located not far behind the Capitol Building. Easy. Word to the wise about Cuba, be aware of scams. There are many of them, including, but definitely not limited to, fake/homemade cigars. Anyways, with the map from the hotel in hand, we started following the directions laid out for us. We were walking in the direction the map told us to go, when a man on the street asked if we were looking for the cigar factory. We said yes, and he confirmed the directions. A few seconds later, a woman walking down the street started chatting us up. She was heading to work at the factory and told us she’d show us the way. Since it was Sunday, we were told, the factory was closed, but the store was open. We were fine with that. It didn’t even cross our mind that we might be getting sucked into a scam. After all, we had a map, from the hotel, with the cigar factory circled. All of the sudden, we realized where she was taking us… to someone’s “house”. I say “house” because it really was the most random place, and looking at it from the outside, you wouldn’t think that is what it was. We had read about these types of scams before our trip, so as soon as we realized what was going on, we turned around and hightailed it out of there. Backtracking on the events that had just happened, we figured that the guy that gave us directions and the women who “worked at the factory” were probably in cahoots together and saw us as a bunch of suckers. The confusing part was that this factory was on the map that the hotel gave us. Safe to say, we gave up on finding the actual cigar factory, if it even did exist. 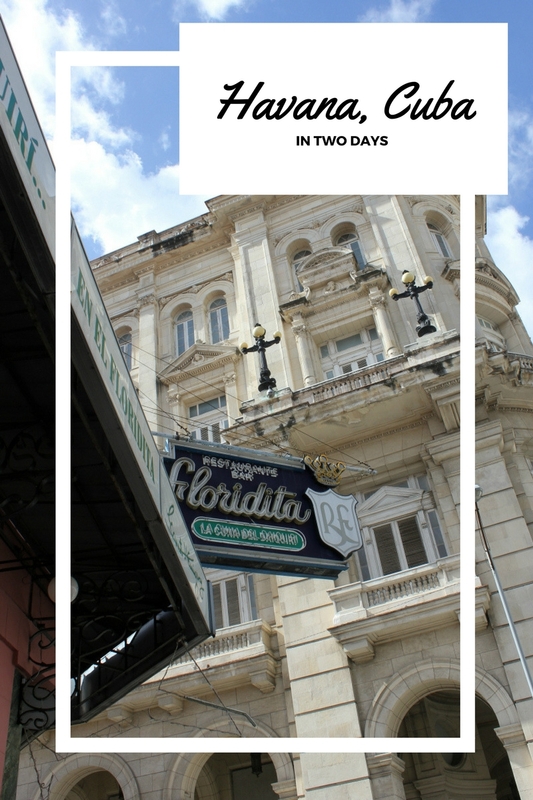 Our second goal of the day was to visit La Habana Vieja, or Old Havana, an area declared a UNESCO World Heritage Site in 1982. 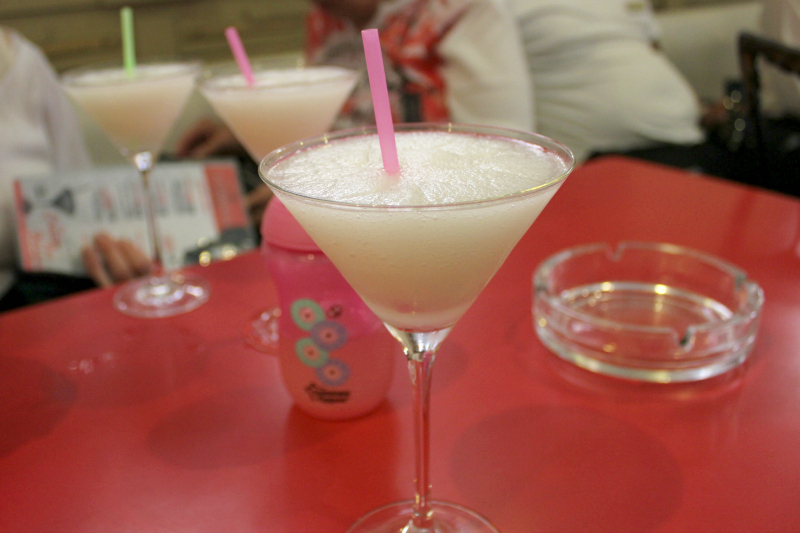 We got over that potential scam really quickly, as soon as a daiquiri from El Floridita popped into our heads. 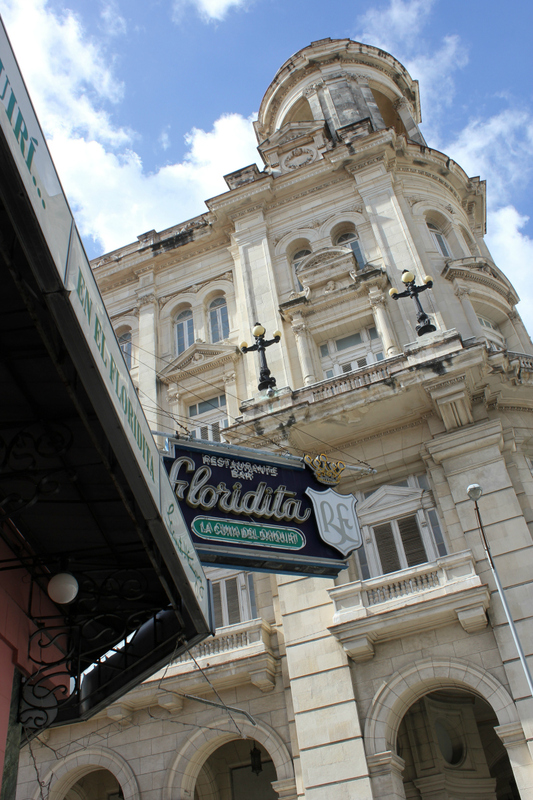 Located in Old Havana, not far from the Capitol Building, El Floridita is a historic cocktail bar made famous by the invention of the frozen daiquiri in the 1930s. In the early 40s, the Novel Prize-winning American writer Ernest Hemingway was a frequenter, and today, the establishment contains many noticeable memorabilia of the author. Opening at 12pm on the day we visited, it is a very popular place, with a lineup to get in that extends down the block. Inside, the music was loud and the rum was flowing. But after a sandwich and a couple of daiquiris, it was time to move on. Heading down Calle Obispo (Bishop Street), we walked past the Hotel Ambos Mundos (Both Worlds Hotel), another hangout of Hemingway’s during the 1930s and currently a popular Old Havana tourist attraction. 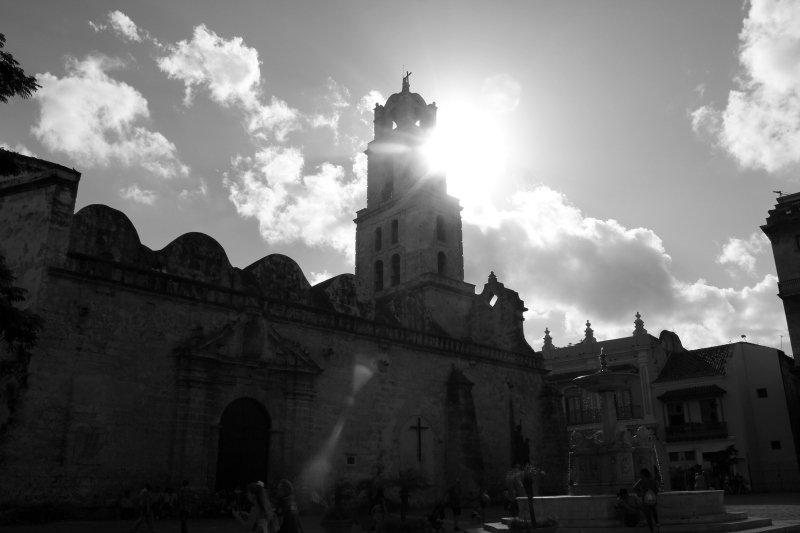 For the rest of the afternoon, we continued to wander around Old Havana, past buildings of both old and new, large open squares and beautifully constructed churches. To escape the heat, we made an afternoon pitstop at one of Havana’s two microbreweries, Factoria Plaza Vieja, located in the square of the same namesake. At this microbrewery, there are only three beers on tap - Clara (light), Oscura (dark) and Negra (amber), and while very different from the breweries we know and love back home, the Clara was a refreshing treat in the afternoon Cuban heat. After a day full of exploring, and exceeding my day's step count goal, we made our way to the Malecon at the mouth of the Havana Harbour, hopped in a van taxi and headed back to the hotel for an afternoon siesta. To end the night, dinner was at La Cocina Esteban, located just up the street from the Hotel. If you are staying in the area, I definitely recommend checking out this restaurant. There was a wide variety of items to choose from, and at a very very reasonable price (less than $20 CDN for two large chicken meals with a handful of sides). 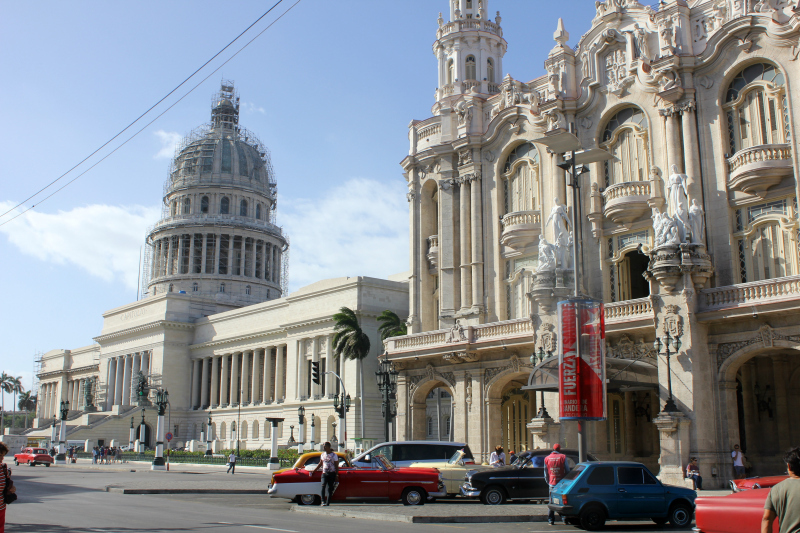 Day two, we decided to take a guided tour of some of the more popular places in Havana on the Habana Bus Tour, a hop-on, hop-off style double decker bus tour. 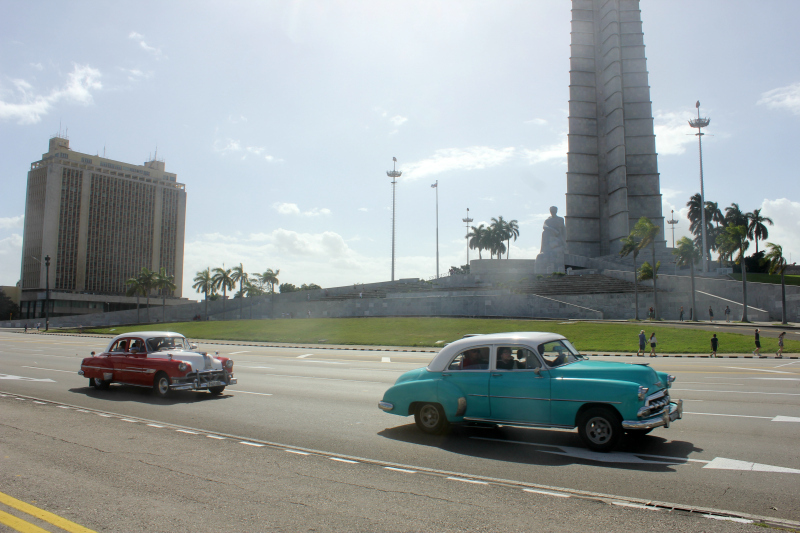 We picked up the bus not far from the hotel, along the Malecon, the roadway and seawall that stretches for 8km along the coast in Havana. 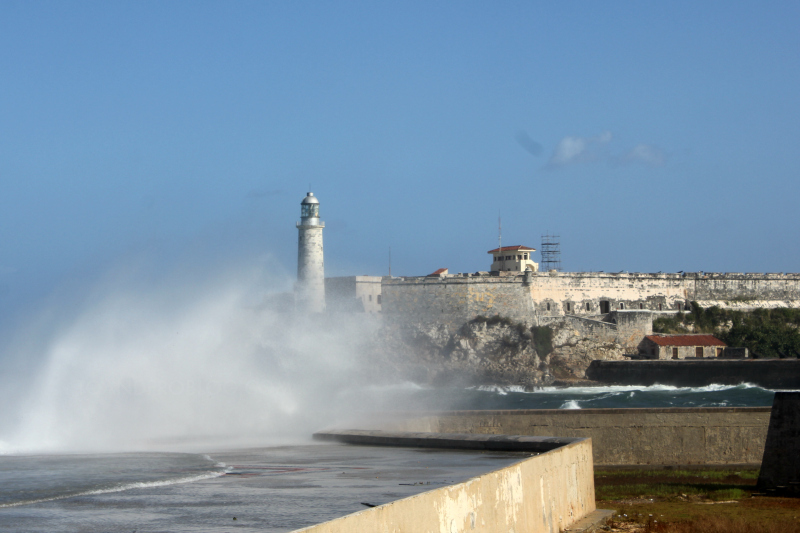 It was a windy day, Cuba was being hit by the tail end of a storm coming off the US. 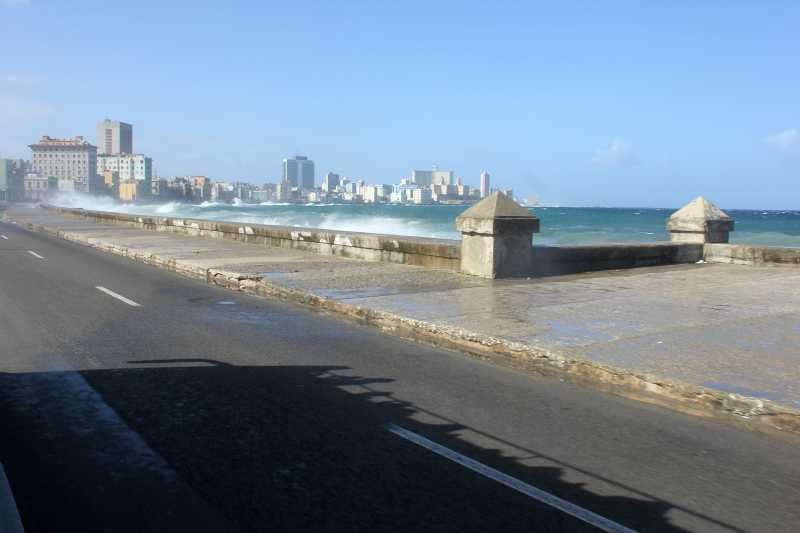 The waves were being pushed over the seawall and onto the road, where, in places, the flooding had closed the Malecon to both cars and pedestrians. Because of the wind and the sun, both of which do not make a great experience for baby, we opted to sit down below, but still had a great view of everything we passed. 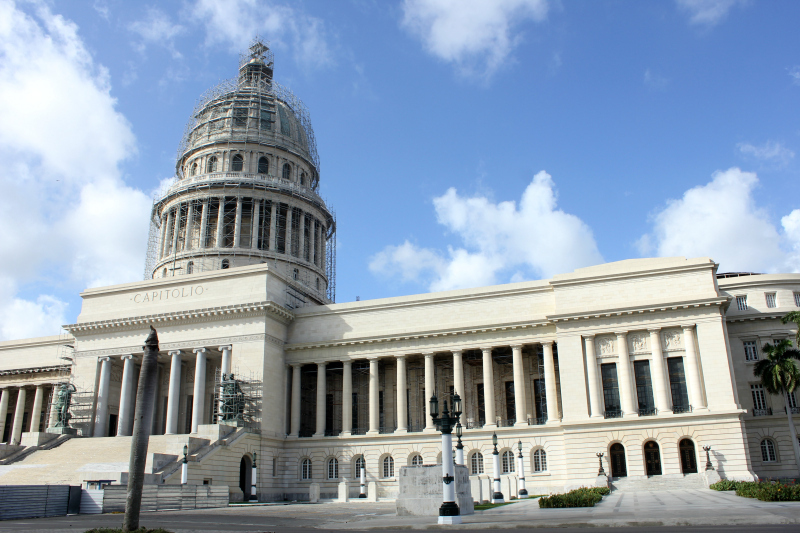 While you pass many attractions on this specific tour route, the most noted were the National Capitol Building, that we had visited the day before, the Plaza de la Revolucion (Revolution Square) and Cemeterio de Cristobal Colon (Colon Cemetery). 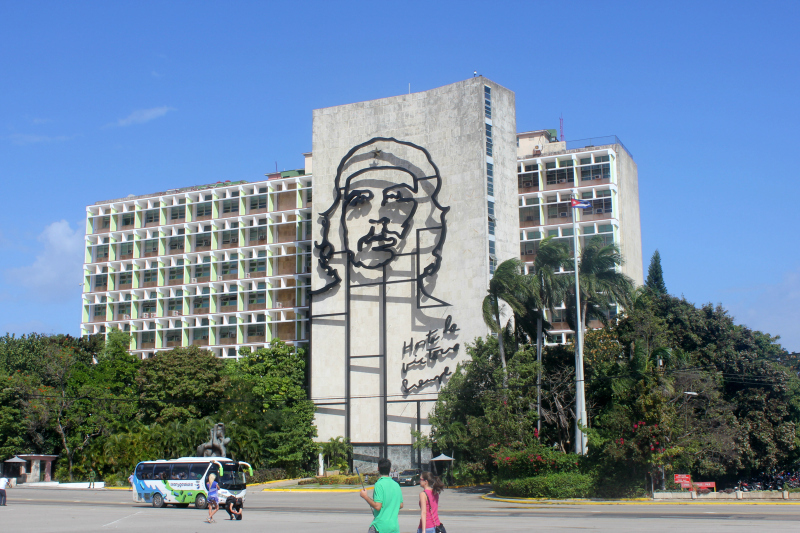 Plaza de la Revolucion is the 31st largest city square in the world, measuring 72,000 square meters, and is truly a remarkable place. It may look like any old parking lot, but this famous square holds so much history. 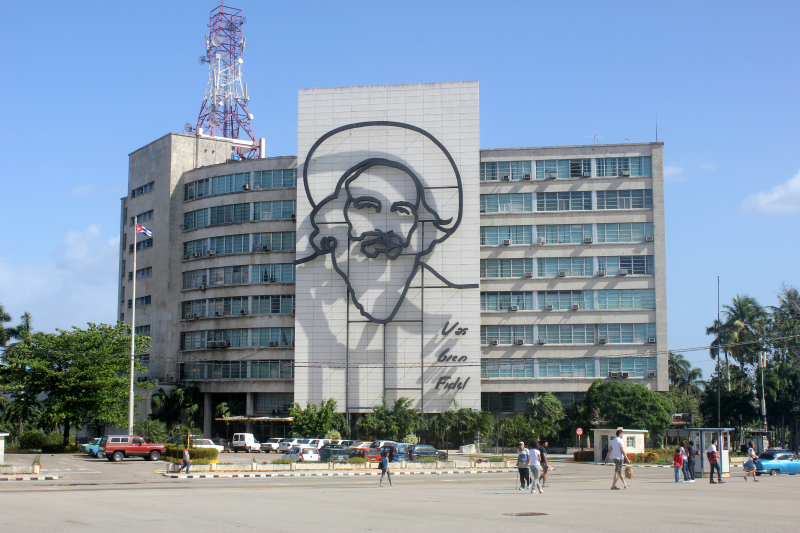 The Square is notable as being where many political rallies took place, and where Fidel Castro and other political figures addressed the Cubans. In 1998 and 2015, visits by the Pope also took place at this location. The Square is dominated by the Jose Marti Memorial, a 358 foot tall tower and 59 foot tall statue dedicated to the namesake national hero of Cuba, and surrounded by the National Library and many government ministries, including those with the recognizable steel memorials of Che Guevera and Camilo Cienfuegos. Named after Christopher Columbus, the Cemeterio de Cristobal Colon is one of the largest, and most ornate, in the world. 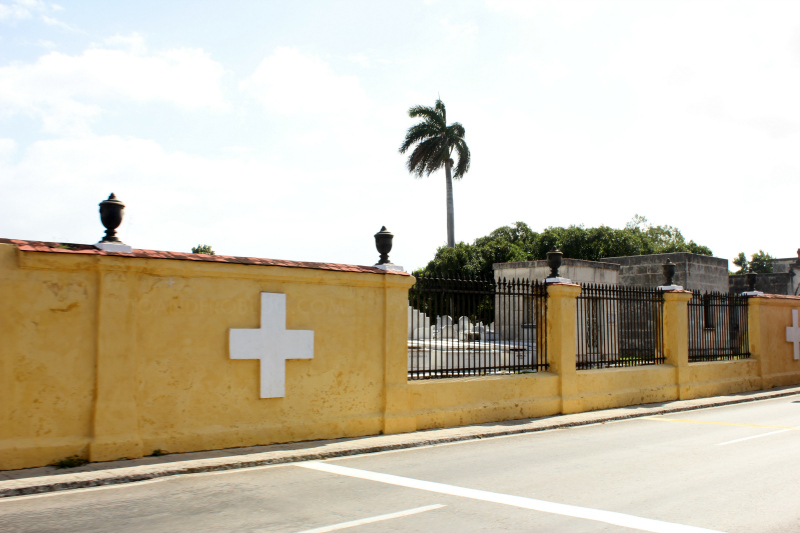 Established in 1876, this 140 acre historical cemetery houses over 800,000 graves, including those of Cuba’s most historical figures, from baseball players to political figures, musicians and actors. Depending on what you want to see, there are three bus routes to choose from. We boarded the bus in the morning hours. This was considered “peak time” so the cost was a bit more expensive than in the afternoon, around $10 CUC per person per day (approximately $13 CDN). In the afternoon, the cost was $5 CUC per person. Buses run every day from morning to dusk. While the ride does include a tour guide who will announce the main landmarks along the way and will also broadcast the main stops, it was extremely difficult to hear what they were saying. If you want to get off at a certain spot be sure the guide knows, as they will not formally stop unless someone wants to hop off or someone is waiting to hop on. I recommend getting an official map of the route to familiarize yourself with the stops beforehand. We received a map from the hotel and it was both not to scale and inaccurate, so there are some things we probably missed. Riding on the upper deck gives riders a unique perspective and allows photographers to get some great shots. But beware, there are low lying wires and the bus can make sudden stops. Also be prepared for the sun. If you are traveling with a child in a stroller, there is an accessible area that allows one or two strollers to “park”. There are no seat belts on the buses. The windows on the lower level slide open all the way, with only a metal railing preventing you from falling out. Make sure young kids are attended to at all times. 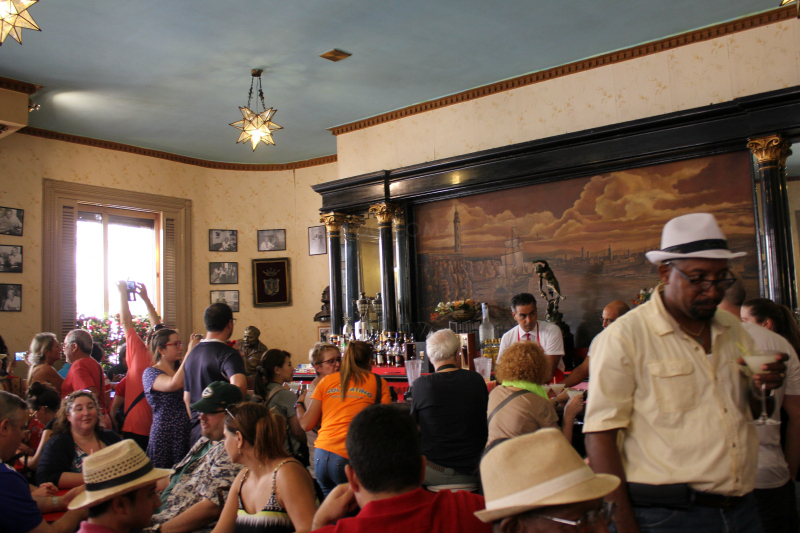 The Habana Bus Tour is also a great alternative mode of transportation, to get from one end of the city to the other, as taxis can begin to add up over the course of your visit. While we didn’t get to see the entire city in those 48 hours, we did check off all of the sights that we had wanted to see. We were all in agreement that two days was plenty to explore this historic city. It was finally time for a little rest and relaxation, and a few pina coladas, on the beaches of Varadero. Most visitors of Havana fly into Varadero and either take a bus or hire a car to take them to Havana. The drive is approximately 2 hours. Since we booked our vacation as a package, a van was waiting at the airport to pick us up and drive us to Havana. Traveling with little ones? Stay tuned for an upcoming guide to visiting Cuba with young kids! 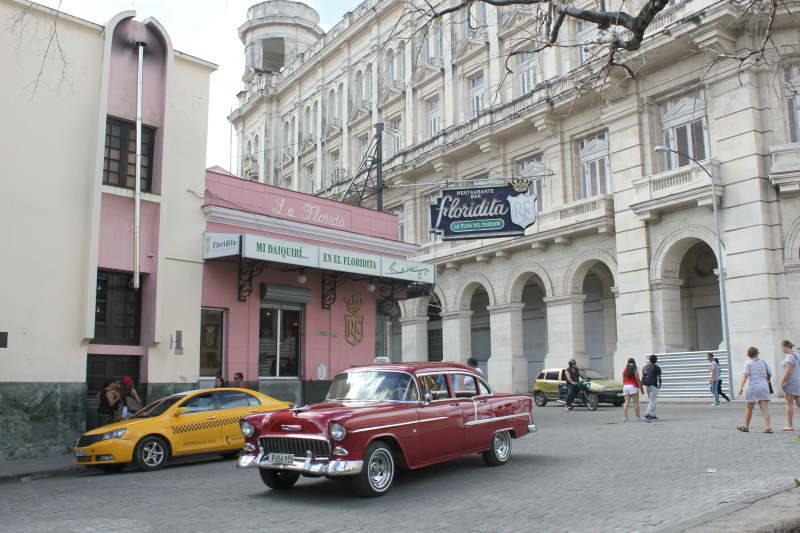 Have you been to Havana, Cuba? What was your favourite part of the city? I’d love to hear!